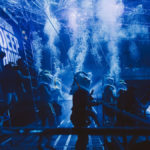 Desperados, HEINEKEN’s tequila flavoured beer brand, has once again pushed the boundaries of wild experimentation in parties by turning the world’s deepest pool into a dance floor – for the first time ever! 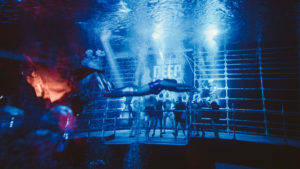 Teaming up with iconic party producer Elrow and world-renowned DJs Peggy Gou and Artwork, Desperados created ‘Deep House’, an epic party in the Y-40 Deep Joy Pool in Venice, the deepest pool in the world, reaching an impressive depth of 42 metres and holding a staggering 4.3 million litres of water. Deep House saw over 400 fans attend the multi-sensory experience. 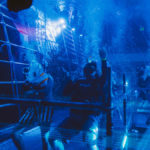 Partygoers wore cutting-edge SeaTREK diving technology to hear the music in high definition and took the party underwater to find their own dance floor. 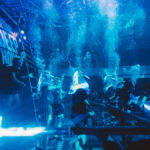 Performing live from an underwater viewing tunnel, award-winning Berlin-based artist Peggy Gou, and London producer and DJ, Artwork, brought their world-class beats to submerged partiers, through a sub aqua sound system. As part of the experience, Artwork created an exclusive track “Deep Down”. From epic laser light shows to earth shaking sound systems and incredible performances, Deep House blew the crowd out of the water! Professionals at creating unique party experiences that dare people to be different, Desperados also showed that distinctive experiences positively stimulate people’s minds. 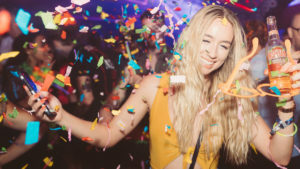 Using Deep House as a testing ground, Desperados worked with Dr Daniel Richardson, experimental psychologist at University College London, to conduct a series of tests on partygoers before and after Deep House to measure their creativity and mood. With a 27% elevation in mood and an 28% increase in creativity, Desperados proved the psychological benefits of epic parties, on top of Deep House being a once-in-a-lifetime experience. Deep House is the latest act from Desperados and WE ARE Pi, following a series of unique acts to foster wild experimentation in music and partying. Previous activations in this series include: Sound Stage: Watt The Frequency, the world’s first global DIY mobile sound system performance with KiNK; SkyFest, the first ever hot air balloon electronic light orchestra; Train Trax, an ordinary train wired into a music instrument; Bass Drop, a party onboard a plane at zero gravity, 30,000ft above the Nevada desert; and House Party Plugged, which saw an ordinary house transformed into a backing track.